FRESH OFF MY FLIGHT FROM CALIFORNIA, READ MY LATEST HARPERS BAZAAR STYLE NETWORK POST TO SEE MY FIVE FAVORITE FINDS FROM LOS ANGELES! SHORTS BY CAR MAR. JEWELRY BY VANESSA MOONEY. BAG BY ALEXANDER WANG. JACKET BY STOLEN GIRLFRIENDS CLUB. OMG LOVE THE FRINGING ON THE SHORTS! The jewellery is amazing! And LOVE the bag. That bag is amazing! Absolutely love it - the croc is so sophisticated! Love this pic! Cool styling! great photo, Love your rings and that Wang bag! 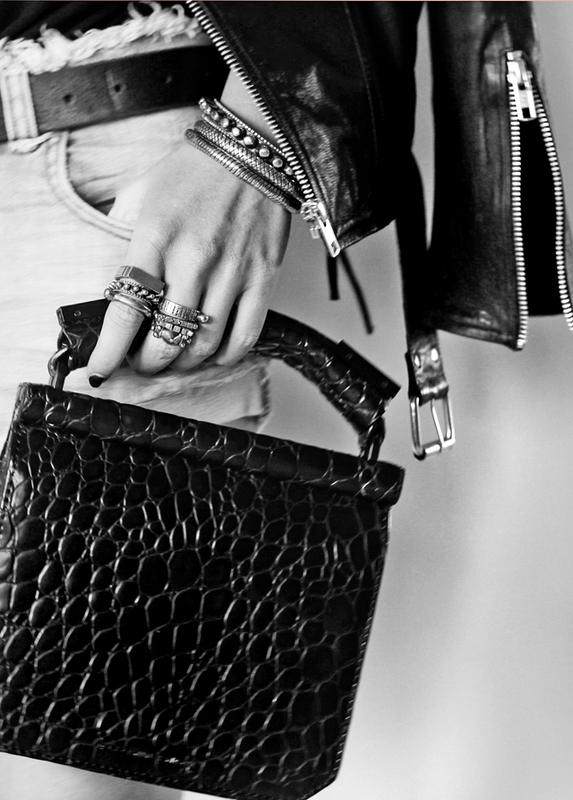 loving that croc print and statement rings. Love the jewelry! Those rings are fab and mixed great together!